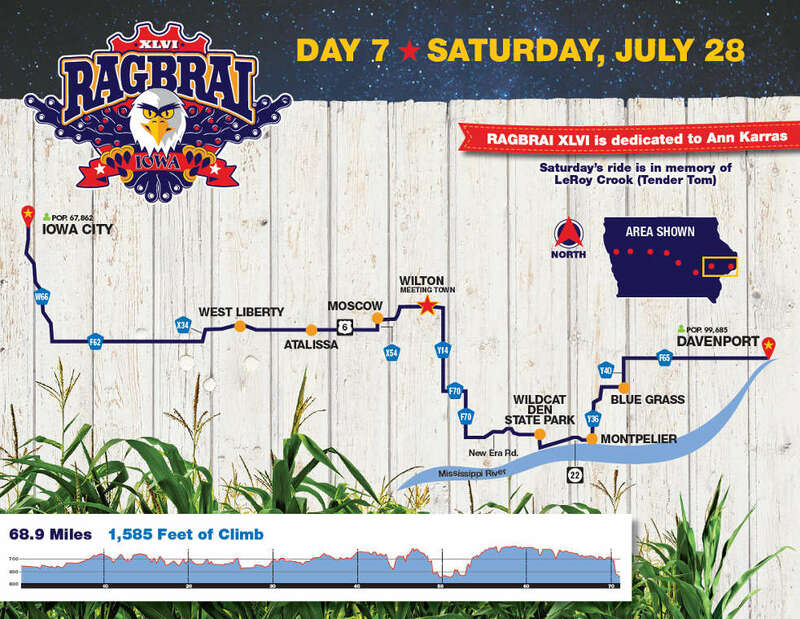 The route that brings RAGBRAI XLVI riders into Iowa City for an overnight stay on Day 6 of this year’s ride will be a relatively easy one. The route out of Iowa City to RAGBRAI’s final destination is a different story. “It’s a long last day,” Michael Chamberlain of The Broken Spoke said, after reviewing the route for Day 7 that was published on Saturday. The route from Iowa City to Davenport is 68.9 miles, and climbs 1,585 feet. Chamberlain pointed out that if the route went east out of Wilton instead of turning south, the final day’s ride would be closer its normal length. But he likes the southerly route because it takes RAGBRAI by Wildcat Den State Park. 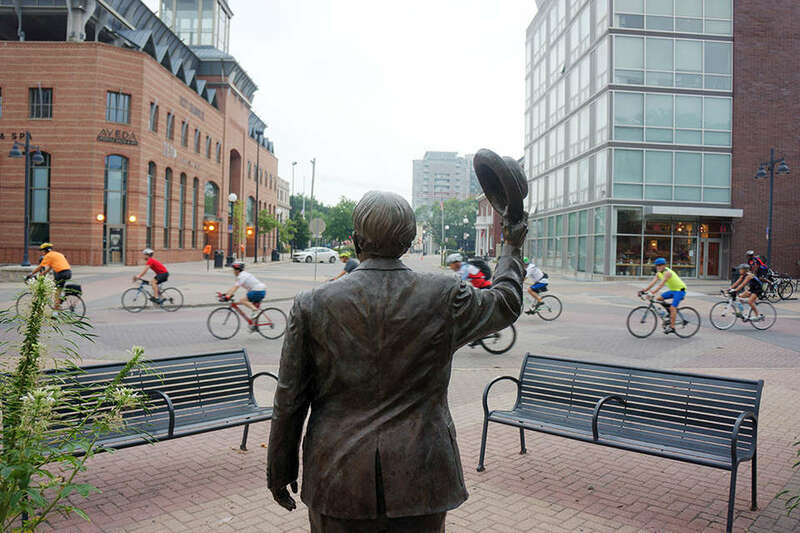 According to current plans, RAGBRAI will only pass by the park, but either way, Chamberlain will be riding the route from Iowa City to Davenport. For the past several years, he and a group of friends have done their own version of RAGBRAI. RAGBRAI XLVI is scheduled to start on Sunday, July 22. The riders will arrive in Iowa City on Friday, July 27. This will be the first time Iowa City is an overnight stop in the ride since 1976.